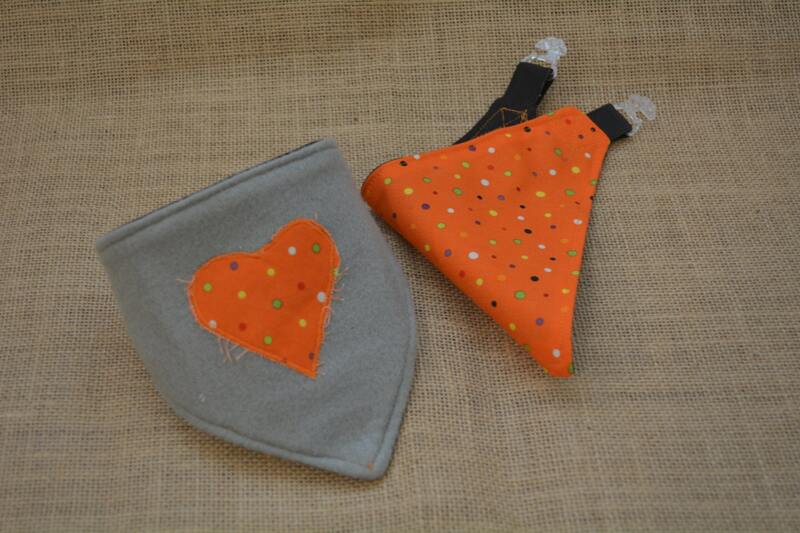 These cool bandanas are designed to be tied around the neck of your cat for protective or decorative purposes e.g. to imitate a scarf. 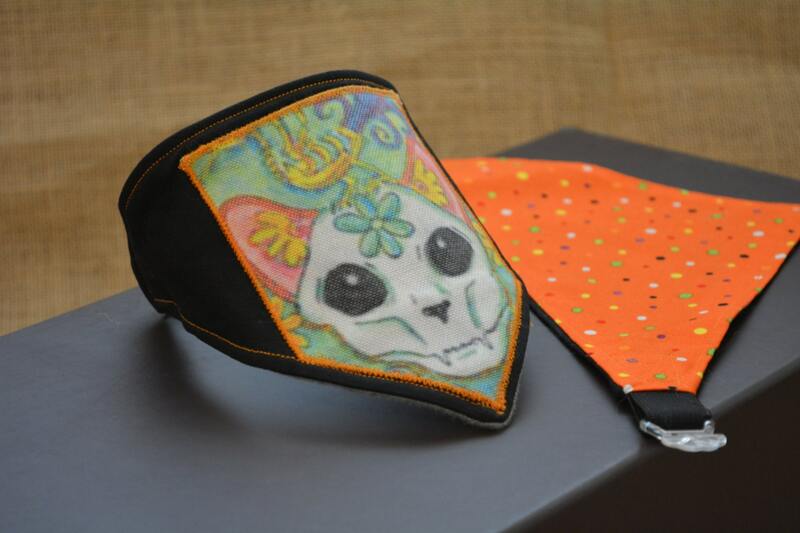 This is a double sided bandana and made of high-quality black cotton with Zombie Cat applique on one side. 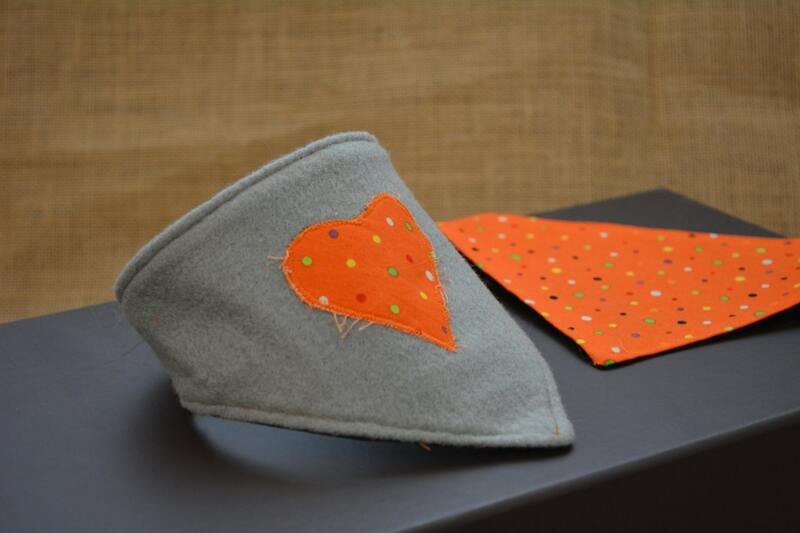 The other side is made of soft gray felt and orange heart applique with Glow in the Dark dots. 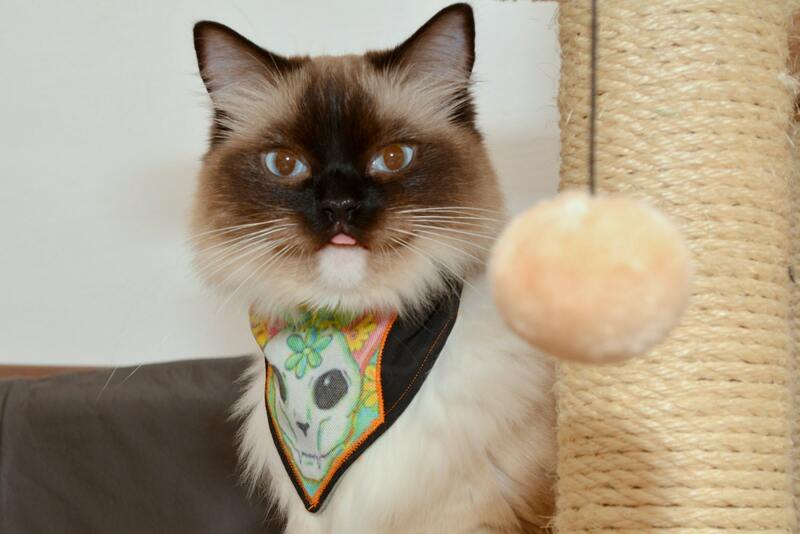 Bandana has elastic band and plastic clip, which makes it very easy to put on bandana and remove it (especially for impatient cats! ).